The second phase of the Overall Evaluation of the Adaptation Fund has been completed, with its final report issued on June 4, 2018. The independent evaluation looked specifically at the Fund’s portfolio of projects and programmes, and the Fund received high marks for the relevance, efficiency and effectiveness of its work. The evaluation was conducted by Tango International over several months since last July, and examined the Fund’s portfolio of projects from 2010 to March 2017. Tango extensively interviewed Fund staff, stakeholders and country representatives, and conducted site visits to Argentina, Cambodia, Maldives and South Africa. An Independent Review Panel of experts and civil society representatives convened by the Adaptation Fund Board also ensured that the evaluation process was as rigorous as possible. 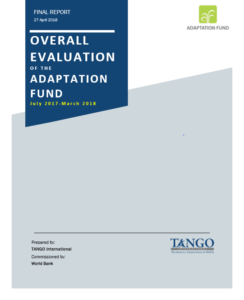 In the report, Tango’s evaluation team concludes that the Fund “remains relevant to the global climate finance architecture” and “adds value” to it through its exclusive focus on adaptation, supporting concrete activities and Direct Access implementation. The report further concludes the Fund to be efficient in managing implementing partner accreditation and project cycle processes, and in maintaining its efficiency despite having the smallest secretariat and an increasingly high volume of accreditation applications and project proposals. 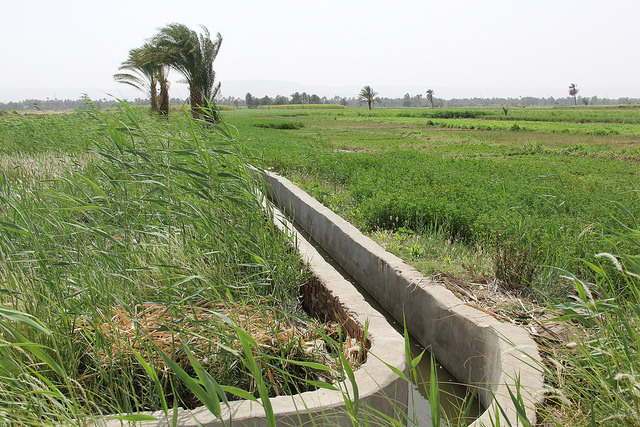 “The Adaptation Fund has a clear advantage in efficient project-approval processes,” according to the report. The evaluation team also reports that the Fund is making progress toward all areas in its strategic results framework and that the Fund’s projects contribute to strengthening resilience at national and local levels. It said positive efforts to implement the Fund’s gender, environmental and social policies are emerging. The Fund’s pioneering Direct Access modality, empowering countries to access climate finance and develop adaptation projects directly, received high praise. “The implementation of the Direct Access modality is a success both in terms of enabling direct access opportunities to a wide range of countries and in terms of the quality of direct access implementation,” the report concluded. Among seven recommendations, the report encourages facilitating complementarity in adaptation with other climate funds in a more systematic manner, and building on the success of Direct Access by expanding opportunities for vulnerable countries with weak institutional systems and promoting enhanced direct models of adaptation implementation. The new report builds upon the first phase of the independent evaluation of the Fund and two reviews conducted by country Parties to the Kyoto Protocol (CMP) from 2011-2014, as well as lessons learned. The earlier Phase I evaluation, which looked into the Fund’s systems and processes, also confirmed the Fund to be efficient, relevant and effective, and a learning institution that shares valuable models and experiences.